From the mind of a nerd: SEBTS, Day 1. Well, I finally made it. The Lord led me here. I am so thankful for the blessings that have been bestowed upon me to get me here. God's hands have been all over my life the past few months. 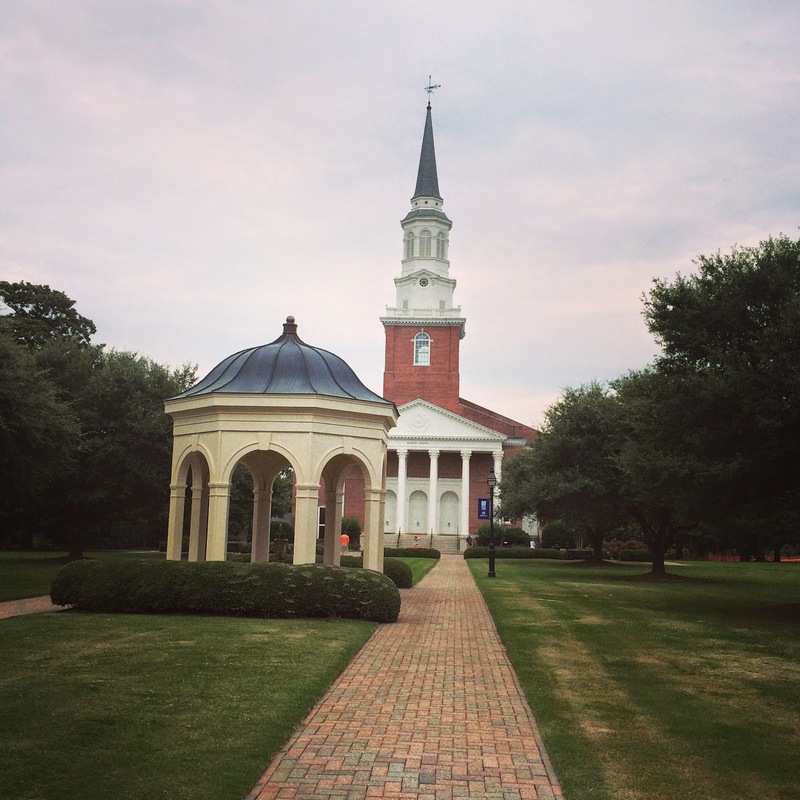 Today was the first time I ever set foot on the campus of Southeastern Baptist Theological Seminary, but I've known it was where I was supposed to be for months now. I walked around the campus late this afternoon. I can really feel God's presence here. I am so thankful He put me here. I felt God's calling strongly in September. I told myself I was crazy -- there was no way I could go to seminary. I felt called to SEBTS right away. I knew it was where I was supposed to go, but I couldn't see the plan yet. God knew the plan, and he knew that I'd be sitting right here in the basement of Shaw house at SEBTS today.